I am using Azure AzCopy Tool to import a pst file to Office 365 account and then uploaded it. When I am checking current status showing completed with errors and when checking details no errors is there. I am using Office 365 Business Premium Plan. I am working on it to get the PST files into Office 365, but it seems like uploading is not working. The second problem I am facing is that upload destination has a long URL and I got a key. Yet I don’t have Azure account, how to delete the uploaded file from that location, it is not accessible using URL? 1. Connect Exchange Online via remote Windows PowerShell, then run the basic commands to see the detailed status of the import request and detailed data about Azure Azcopy Import request. 2. Check your browser is updated or try to perform on any other browser. 3. Go through the steps to once more and check if there is any error in Import Steps. 4. Sometimes it happens if internet connection was interrupted in between. 5. 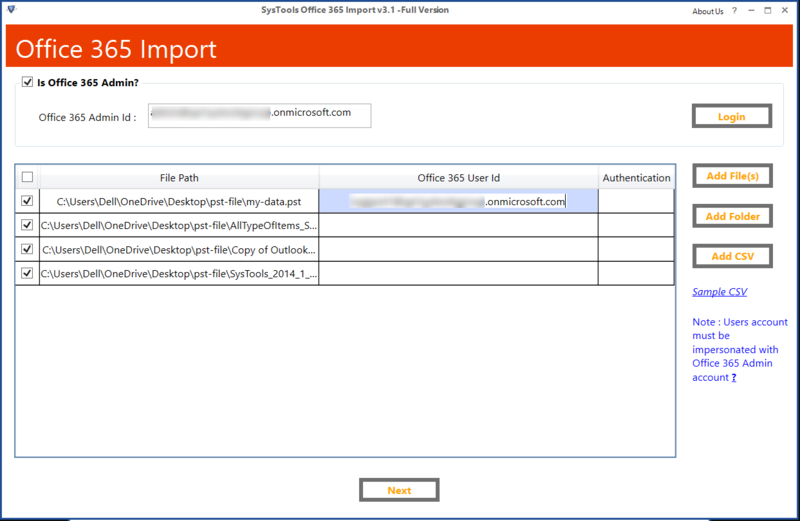 Or Try an alternative solution to Import PST to Office 365 Mailbox i.e. 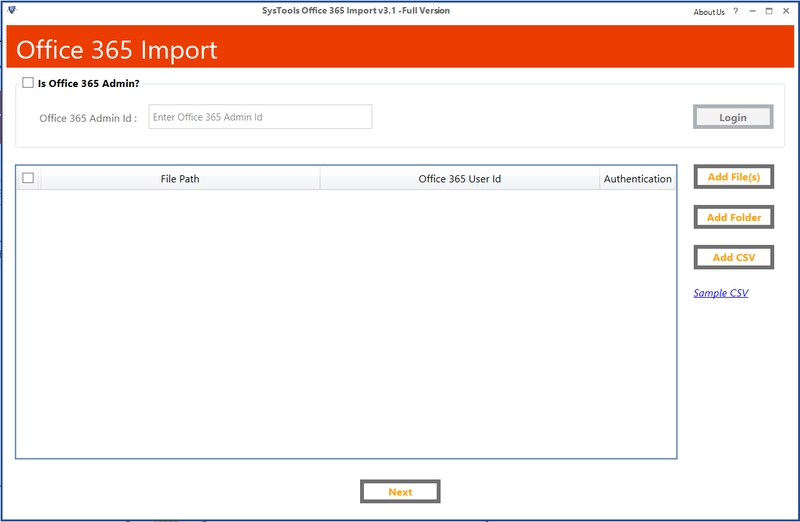 SysTools Office 365 Import PST Software and Hard Drive Shipping method. To avoid Office 365 PST Import completed with errors or any other Azure AzCopy error user or admin can use this program to easily upload single as well as multiple PST files to Outlook 365 account in few steps. If the user wants to import multiple PST file to multiple Office 365 user account then Impersonation rights must be assigned. Also, enables to add contacts, calendar & tasks to O365. 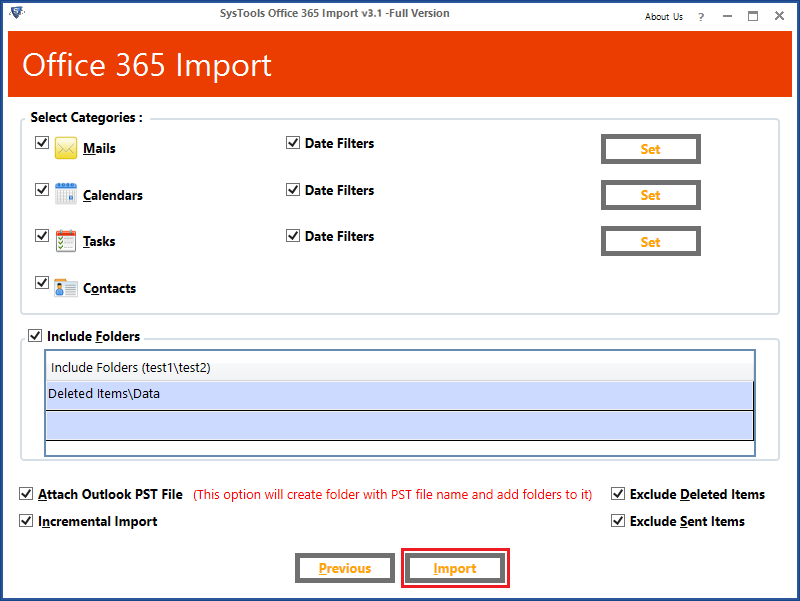 Incremental Import PST helps you to add new data and all data imported earlier is excluded automatically this helps to stay away from duplicating data on Office 365 account. 1. 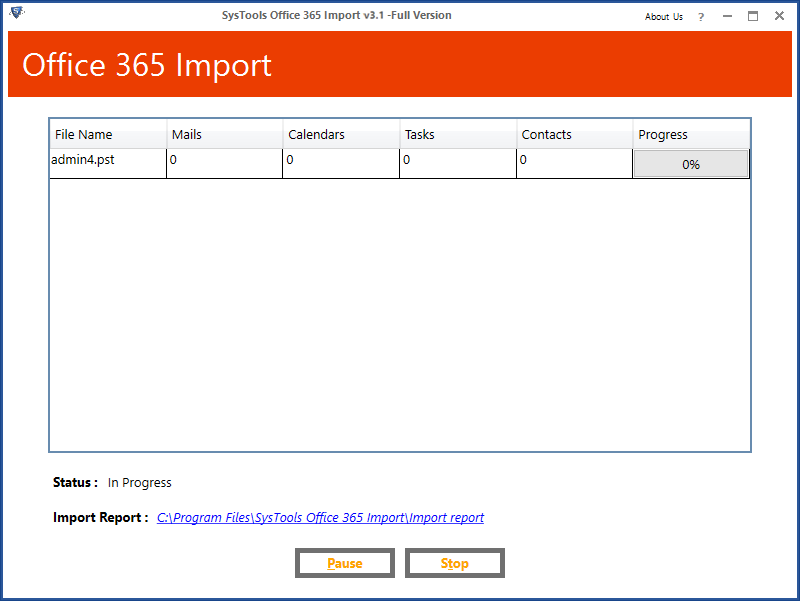 Download and Run SysTools Office 365 Importer on your Computer / Laptop. 2. Checkbox corresponding to the “Is Office 365 Admin” text. Now enter Office 365 login credential to import. 3. Now click on Add Folder to add multiple PST file within the single folder or Click on add PST file path one by one. 5. Click on Add CSV file in which path of PST file and User email address is mentioned, Check Sample CSV file uploaded within Software for an overview. And Click on Next button. 7. Once done program will start upload procedure. The user can check to progress report, Mails Count, contacts count etc. 8. 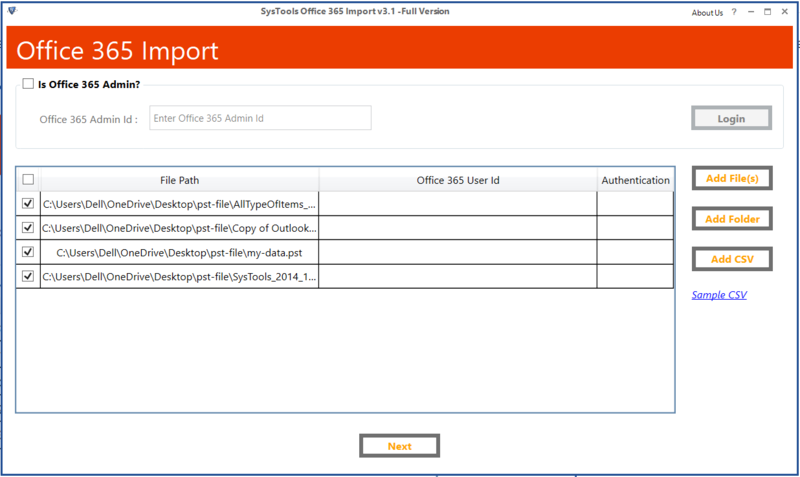 Option to save the report that will preview the complete report of data imported to Office 365 mailbox. 9. Log in Office 365 account using login credentials, where you can check emails, contacts, calendar, etc. imported easily. If, want to add PST files to multiple user accounts Use Office 365 admin account or user must have application Impersonation rights assigned. 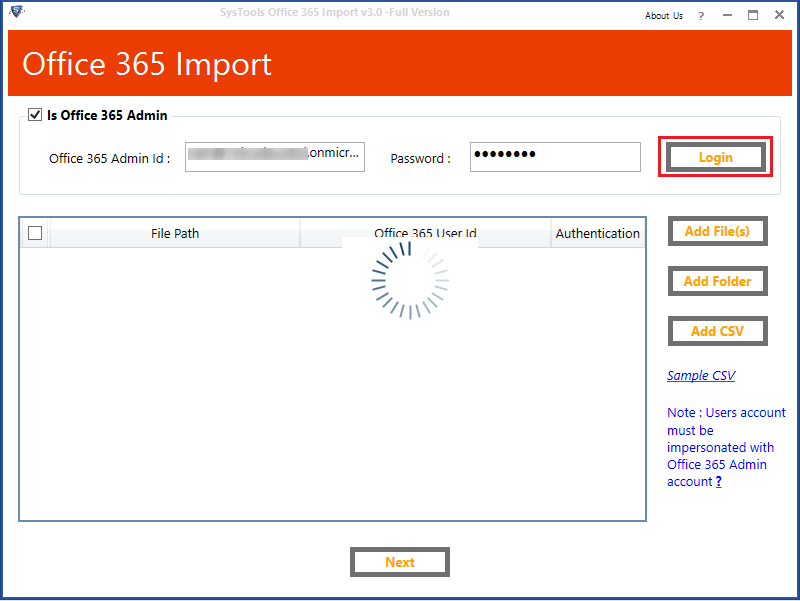 This is another method to import Organisation large PST file to MS Office 365 account in case getting Office 365 PST import error using AzCopy Tool. The Drive shipping method helps the user to import multiple PST files / or add PST file in batch to the user account. For this copy PST files, you want to import in the Hard disk and then physically ship it to Microsoft data centers. Once Microsoft gets you to drive, one of them will move your organization PST file to Microsoft cloud. Once data moved to cloud user can use multiple filters and other options to target what mailbox items they want to add to there Office 365 account. And easily can control data they need. In this way when Import job is started PST file data is shifted from storage media to your mailbox account. Drive shipping is used to import large and multiple PST file data of an organization to Office 365 account. 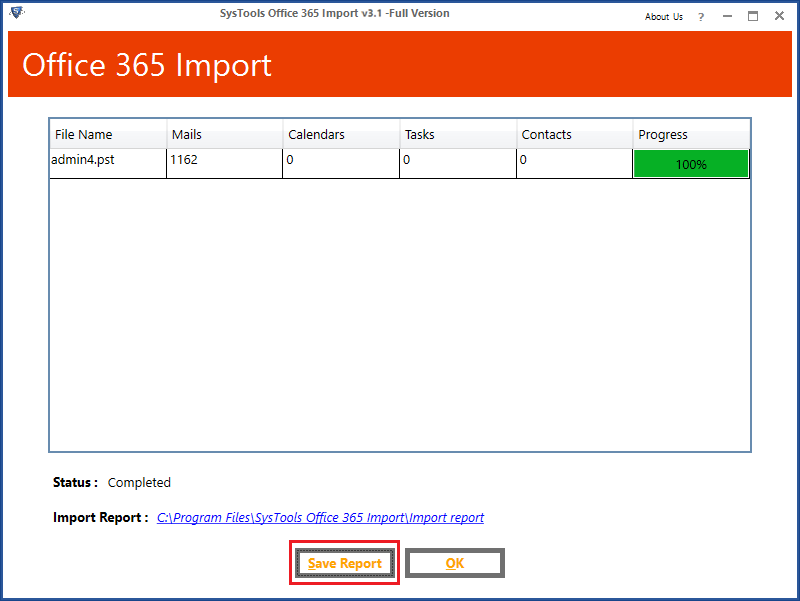 In the above article, we have come up with the solution to troubleshoot ‘Office 365 PST Import completed with errors’ by checking why the error was caused and fixing them. Also, discussed two alternative solutions i.e. 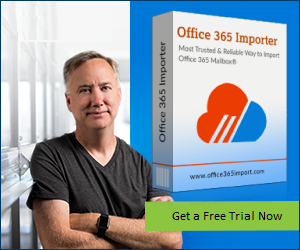 SysTools Office 365 Importer and Drive Shipping method to upload PST file without any error or data loss. Copyright © 2019 www.office365tips.org All rights reserved.